No More Zelda Items from Club Nintendo. For those that have used Nintendo’s loyalty/rewards program over the last 6 years I have some bad news. 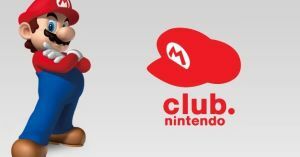 Nintendo has officially announced that the they will be discontinuing Club Nintendo in all major territories including U.S. and the UK. In the U.S. the last day to earn coins from codes or product registration will be March 31. The last day to redeem coins for rewards will be June 30 followed by the deletion of all coins and accounts the next day July 1. Still, though. This is not the end for Nintendo’s free rewards. Read more after the jump. Club Nintendo has offered many Zelda themed rewards over the years including Virtual Console games, posters, card cases, golden nunchucks, and even soundtracks. Currently for January’s rewards, Club Nintendo is offering the original Legend of Zelda (NES) to download through the 3DS Virtual Console. No longer having the ability to obtain such unique and exclusive Zelda themed items will be a great loss. There is a silver lining to this story however. Nintendo also announced that they will be rolling out a new ‘customer loyalty’ program with more info coming at a later date. Until then they hope to appease fans by offering ‘exclusive’ rewards in February as well as a free download for all members. As a result, to give our members the best opportunity to use their Coins, we will add dozens of downloadable games and a limited quantity of exclusive reward items to the rewards catalog in February. In addition, as a small token of appreciation for your loyalty, all Club Nintendo members will receive a free download code for Flipnote Studio 3D in February 2015. What Zelda themed items or games do you hope will be released next month? Are you sad to see the program go or do you have high hopes for the new one?